I woke up when the morning sun heated up my tent and created a sort of sauna effect inside. A quick porridge, coffee and wash, and I was on my way. Thank you to everyone at Llanystumdwy Camping and Caravanning Club for my pitch and the warm welcome. 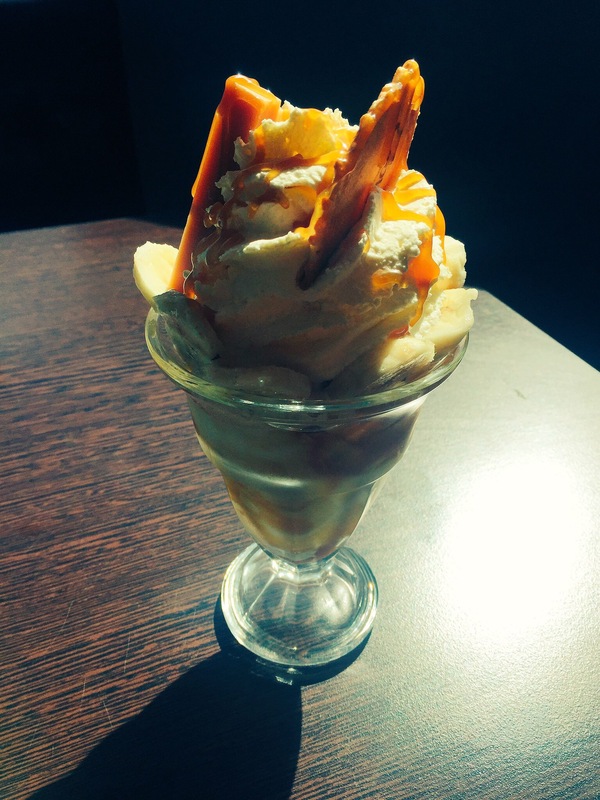 And thank you for sending me on my way with an ice cream….I needed that! 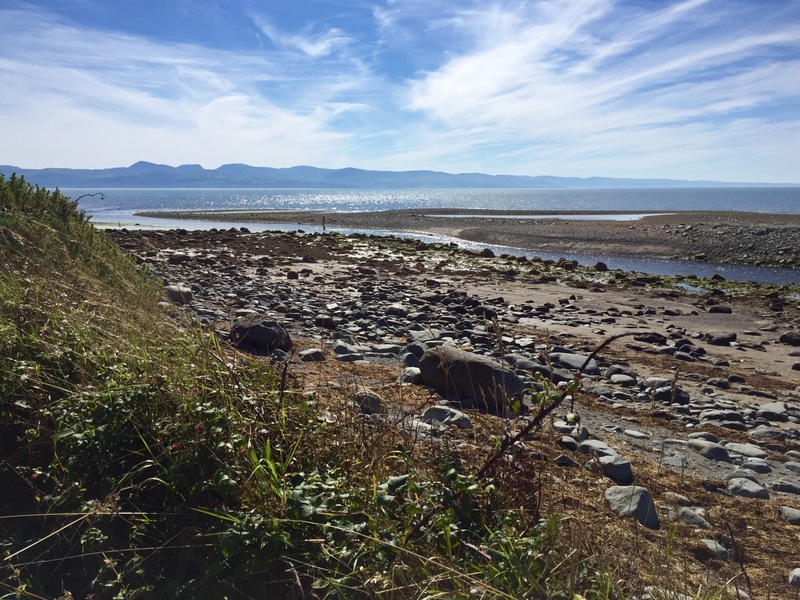 I re-joined the Wales Coast Path and walked alongside an A road for a while. 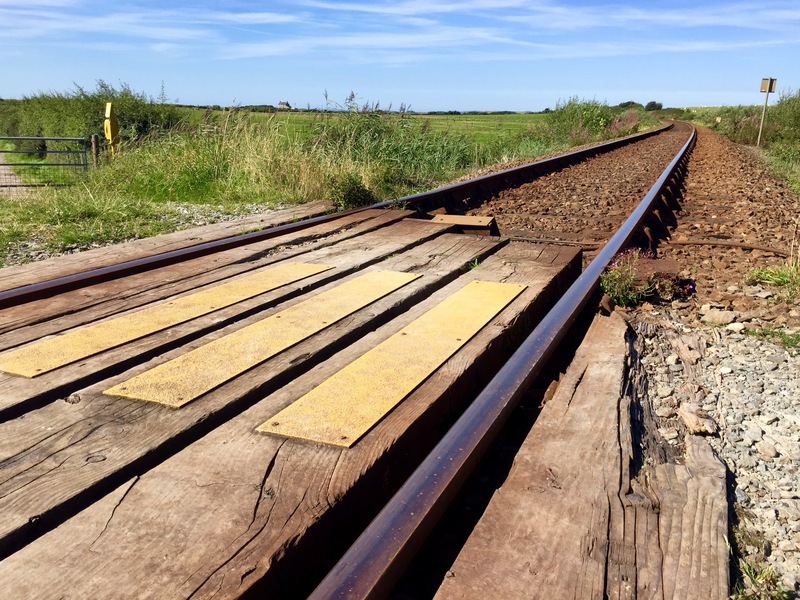 It was then routed through farmland towards the coast across a railway line and over marshland. Once again I could see the vista of Eryri and the northernmost parts of Ceredigion. 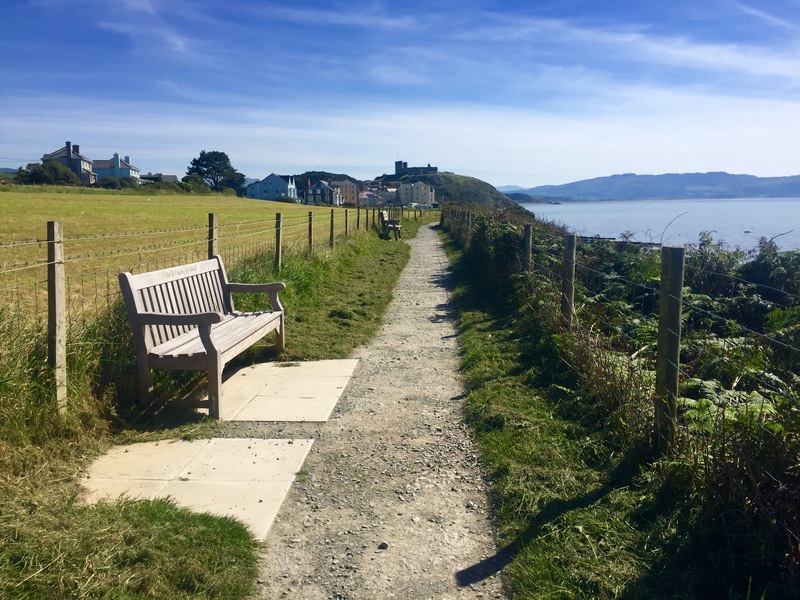 In a good while, I turned a corner and right ahead of me in the distance was Criccieth Castle. It wasn’t even 11am and it was sweltering. So I did the only human thing that I could when I arrived into the town. I went and got an ice cream at Cadwalader’s. Yes, another ice cream. And what an ice cream it was! I ambled through the town slowly. 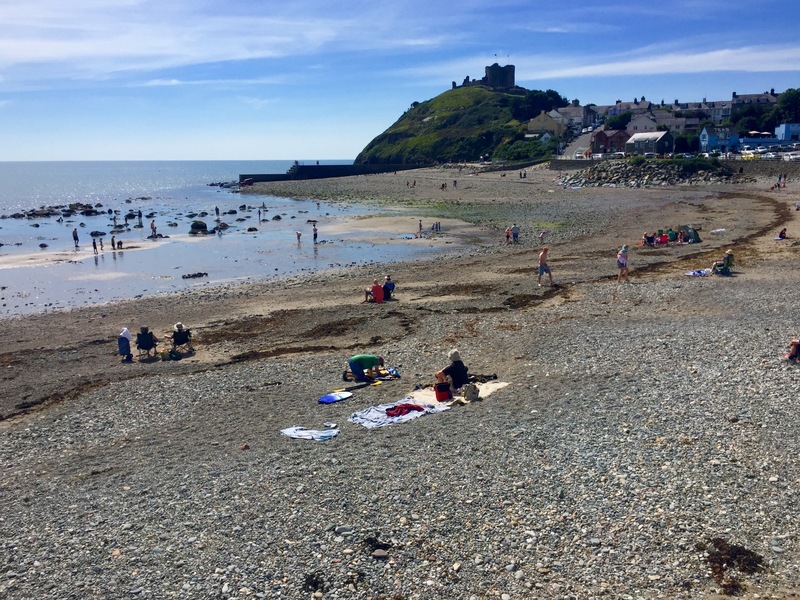 It was a busy day on the beach at Criccieth. I’ll never tire of people watching tourists and holidaymakers. 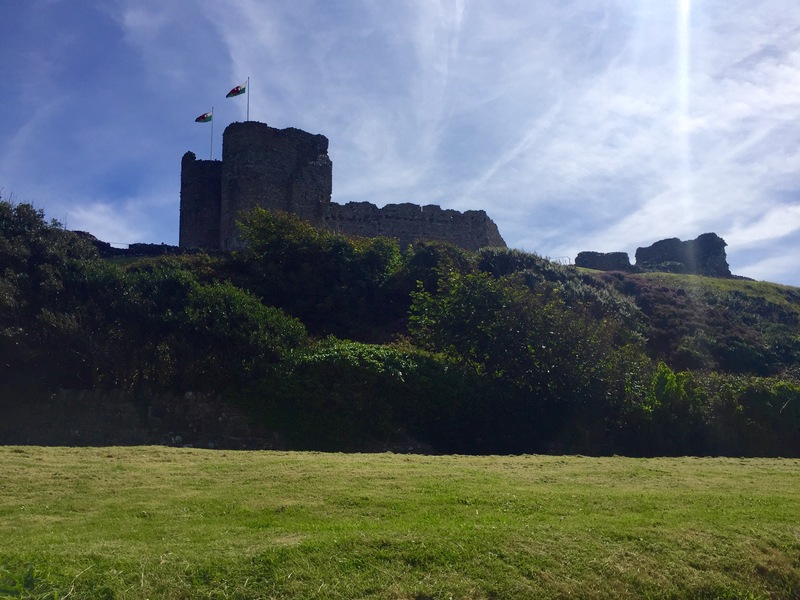 The castle was imposing, as all castles should be. Who would have believed amongst all the sweaty tourists that this was once the scene of battle and bloodshed? I decided to save an actual visit inside for another day. I carried on past the beach and out of town. The trail led me on a path next to the railway line for quite some time. And in no time I was ascending Garreg Ddu to overlook the Anglicised-named version, Black Rock Sands. Acres of golden sands spread out in front of my eyeline. There were dozens and dozens and dozens of vehicles parked on the beach though. I imagined this place to look perfect while deserted in the midst of winter. 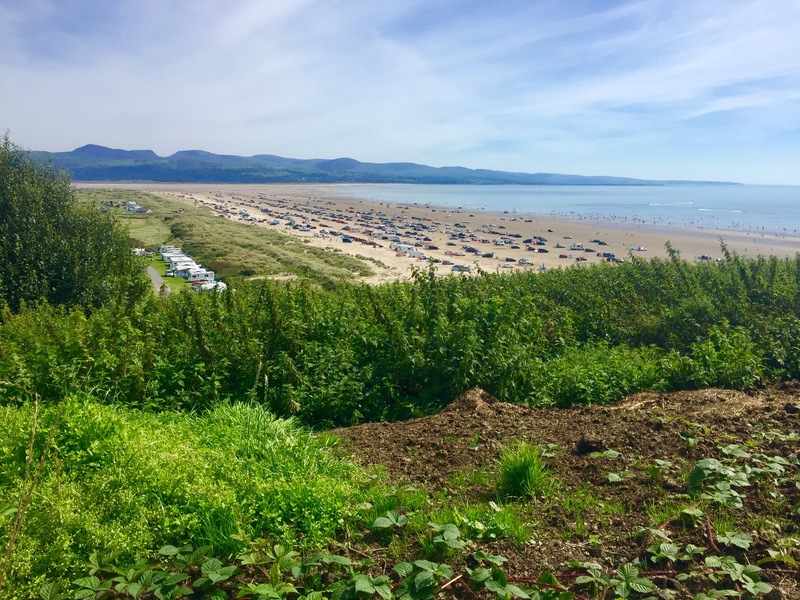 The day had become even hotter so I made the sensible decision to walk via Morfa Bychan to camp, just in case I needed more water or whatever. When I arrived at Tyddyn Llwyn, just outside Porthmadog, I had the most kind welcome. The owners, Catherine and Peter, have had personal experience of pancreatic cancer and were incredibly supportive of my challenge. After I pitched up, I discovered that the item I’d filmed last week for Heno would be aired that very evening. I didn’t have a TV to watch it on, so here’s the temporary link to the piece in all its glory. Scroll to 18 minutes 30 seconds to see me! If the link doesn’t work, let me know but I don’t think it’s going to be available for more than a month. Yup, the link works and I eventually found the English subtitles! Go gal go, and let us know where and when your finish point is, as we may be holidaying in Wales.